I love receiving letters. There is something very personal about reading a handwritten letter on paper as opposed to viewing an email or text message on a screen. 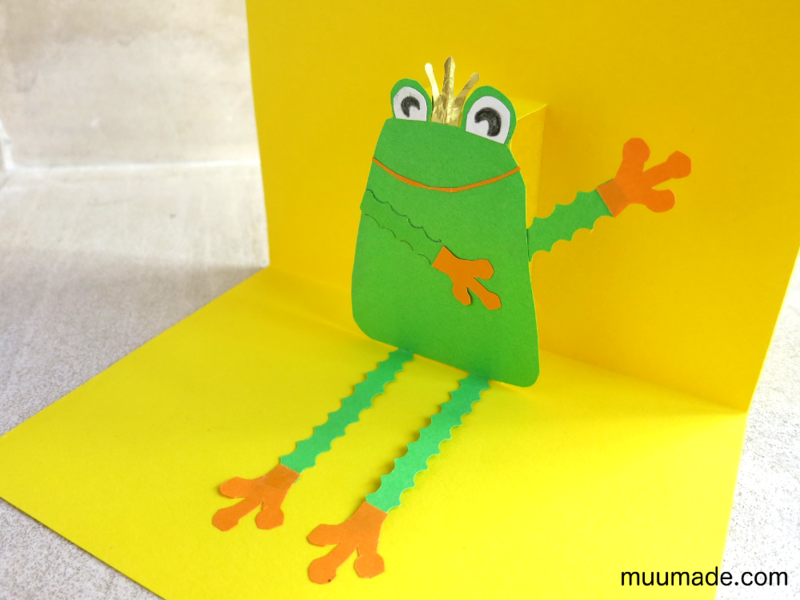 Handmade cards are particularly heartwarming, because each card is unique and made especially for you. 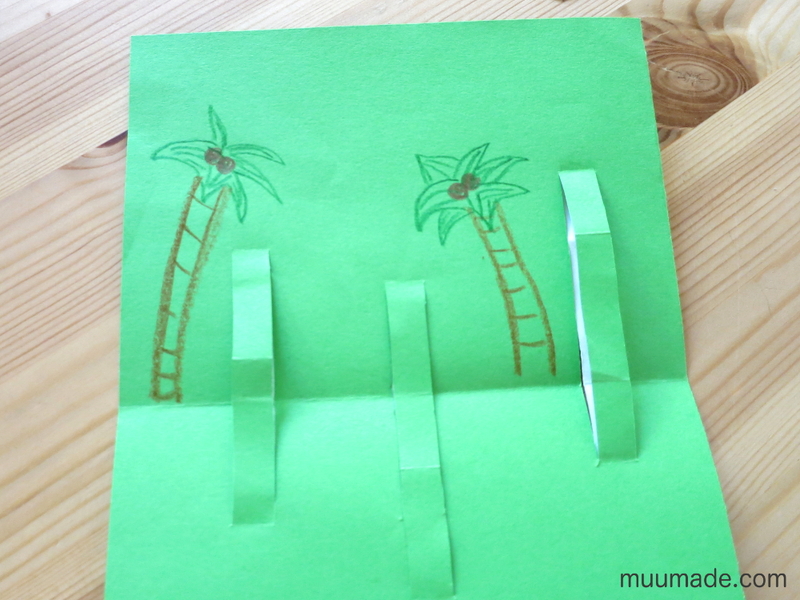 These cards are even more exciting when something pops out of them when opened! 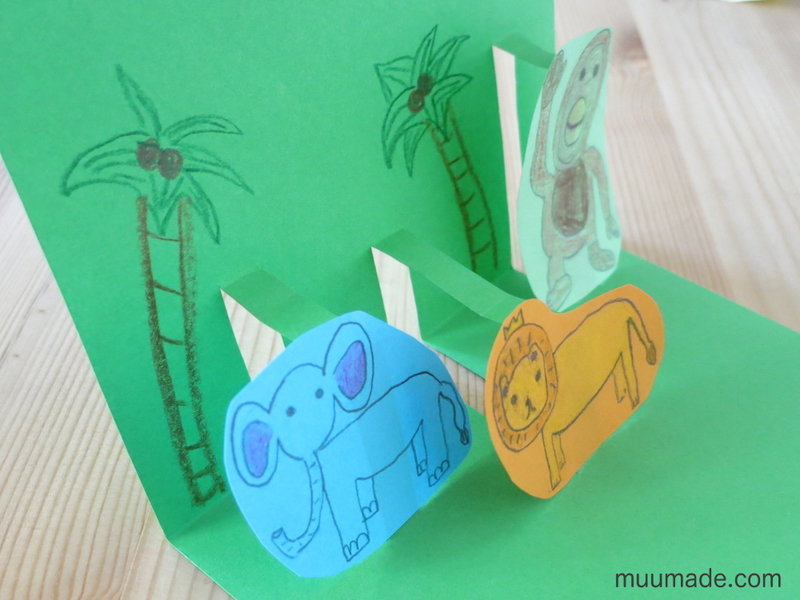 But maybe you think that it is rather complicated to make pop-up cards? 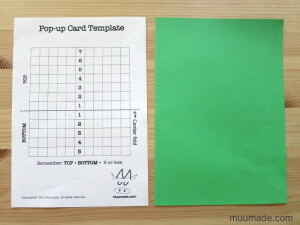 To simplify the process, I have made a free pop-up card template. 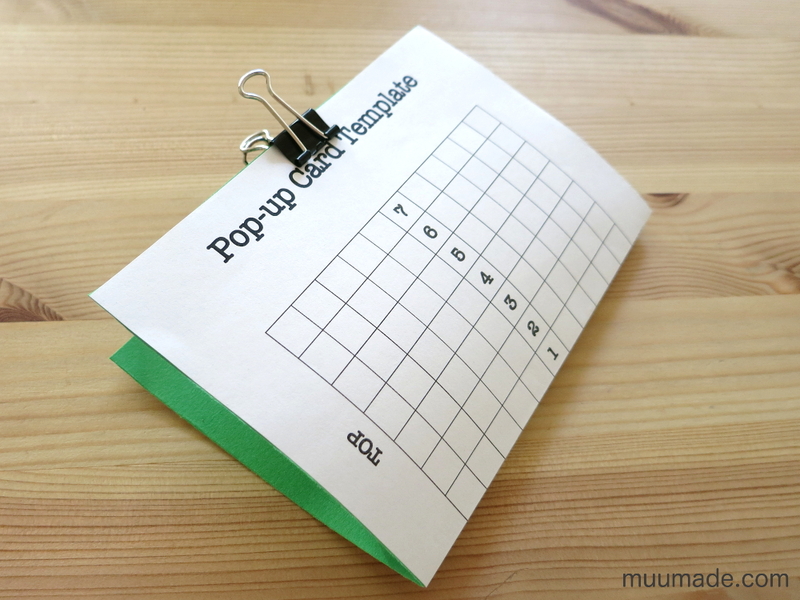 Dowload it (For Letter size: PopupCardTemplate-Letter or for A4 size: PopupCardTemplate-A4) and get started! 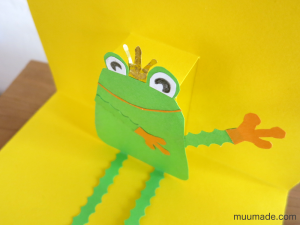 In addition to the template, you will need: paper clips, a few sheets of colored paper, glue or double sided tape, colored pencils or markers, and a pair of scissors. 1. 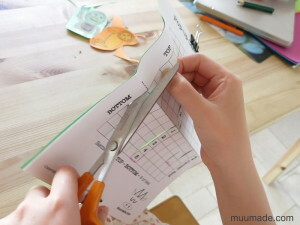 Print out the template (Set the scale of the printer to 100%), and cut the sheet in half, leaving only the template side. 2. 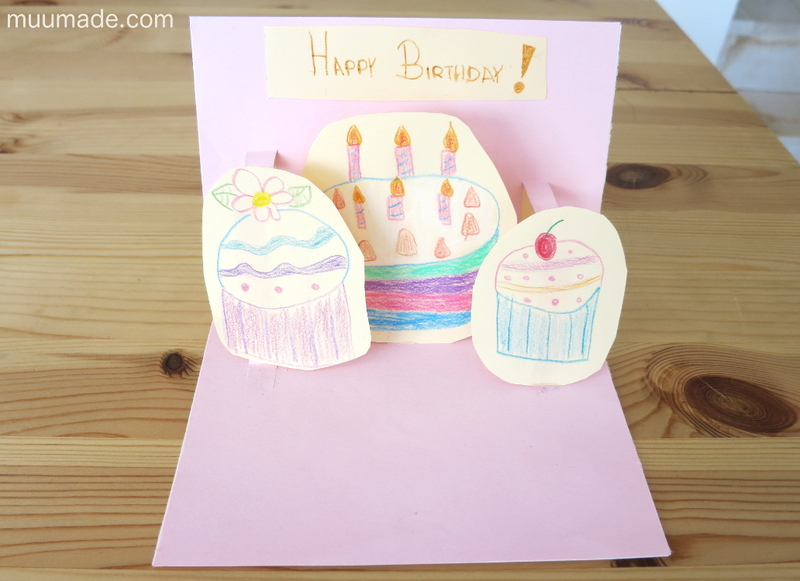 Select a sheet of colored paper for the inside of the card, and cut it to the same size as the template. 4. Now make the pop-up objects! I suggest that you make 1, 2 or 3 different pop-ups. The objects should be no taller than 7.5 cm (3″). If larger, they will stick out of the card when it is closed. 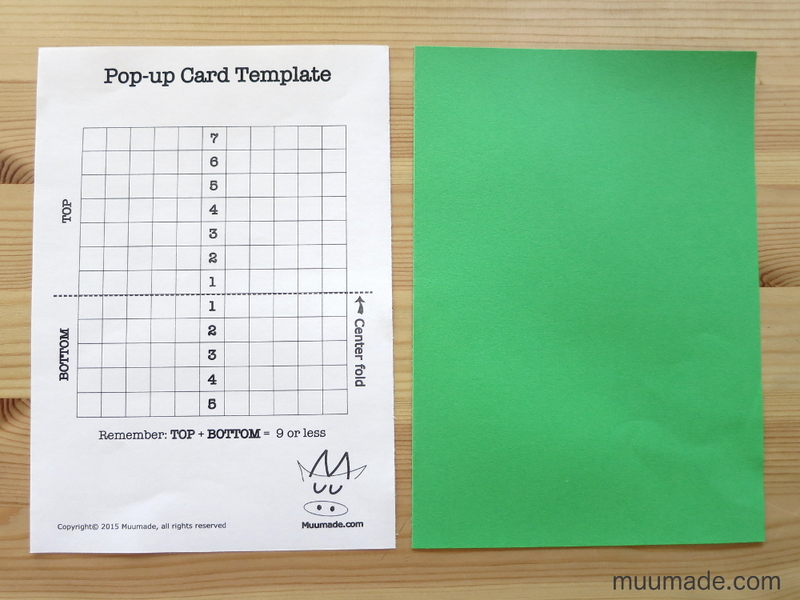 If you will have only one pop-up, you can make it as wide as 13 cm (5″). If you have 2 similar sized objects, they should be at most 8 cm (3″) wide, and they will overlap approximately 2 cm (3/4″). 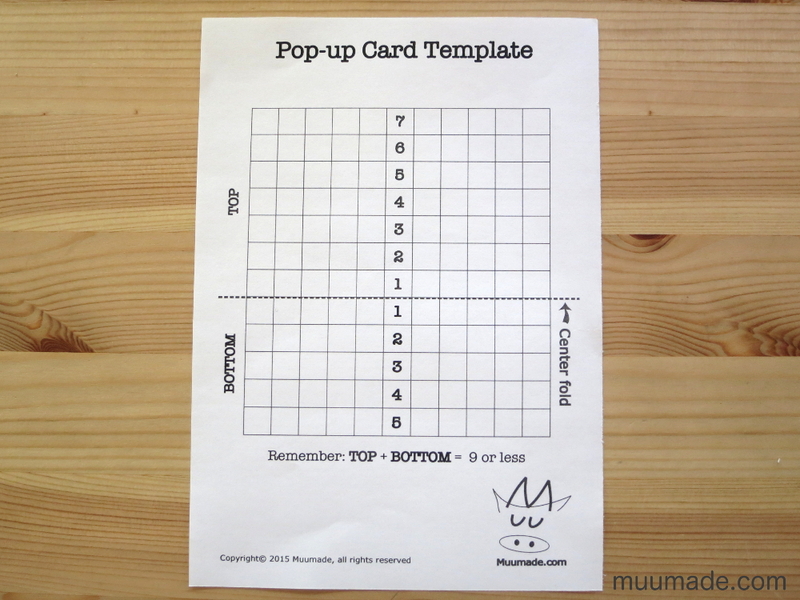 If you have 3 similar sized pop-ups, I suggest that they be at most 5 cm (2″) wide. 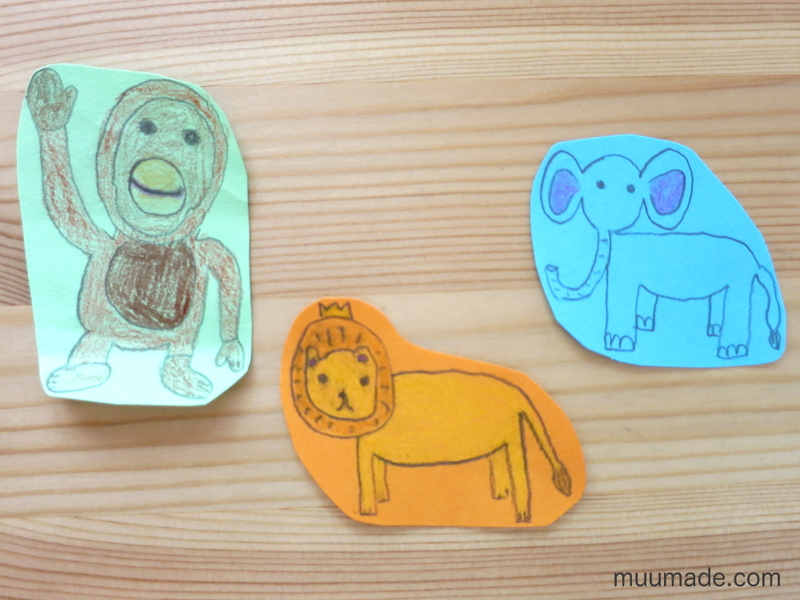 To help a child size the objects, you can draw a box of the appropriate size on the paper that will be used and cut it out before letting him/her start drawing. 5. 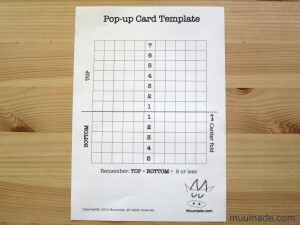 Measure the height of each pop-up, by aligning its bottom with the central fold of the template. In the case of the monkey in the photo, its TOP number is 6. Then, using the magical equation, TOP + BOTTOM = 9 or less, you can figure out that its BOTTOM number should be 3 or less. 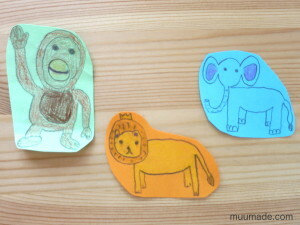 My daughter picked 2 for the monkey. So in the farthest left column, she marked the line just above 6 on the TOP side and just below 2 on the BOTTOM side. 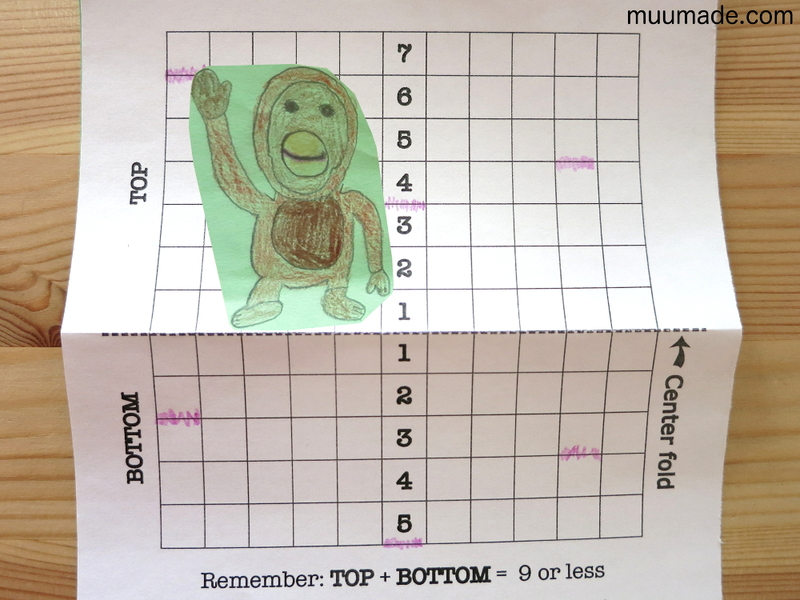 (NOTE: Even though the monkey’s column is on the left when seen from the template side, the monkey’s actual position on the inside will be reversed. It will sit on the right hand side of the card, as shown in the first photo of this post.) Make the top and bottom marks for the rest of your pop-up objects along their columns. For wide objects, you may want to use two or more columns to support them. In the photo on the left is an example of a single pop-up object with a 3-column wide support. 6. To cut out the marked columns, first fold the colored paper and template along their creased central line, with the template facing out. Start by making small cuts through both layers in the selected columns from the central crease. Be careful not to cut beyond the marked lines on either end of the columns. 7. 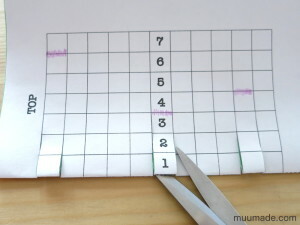 Once those small cuts are made, open up the card and cut along the two vertical sides of the columns up to the marked lines. DO NOT cut the the two horizontal ends (the marked lines) of the columns! 8. Bend the cut columns inward to make clean creases at the top and bottom ends of each column. 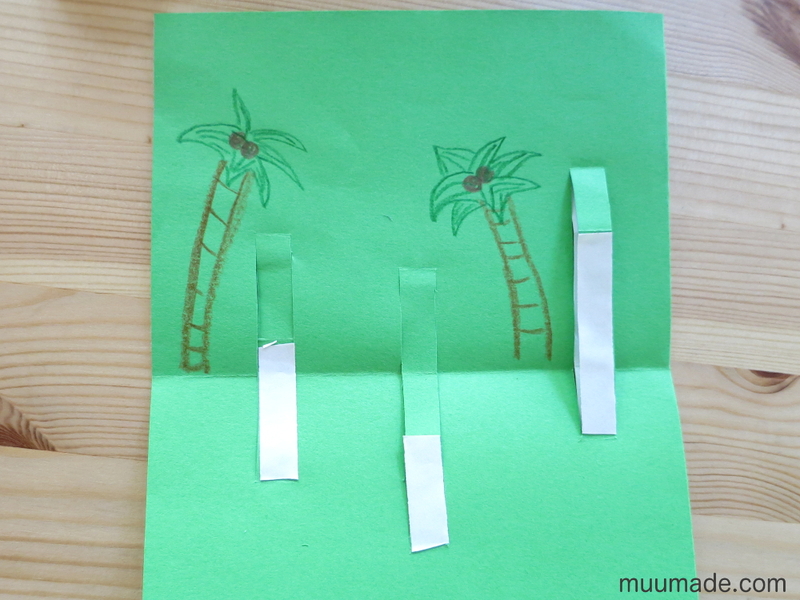 Then carefully close the card while making sure that all of the columns are neatly folded inward at their top and bottom ends. Press the card firmly to make new creases in the columns. When you open up the card again, you should have the pop-up supports for your objects! 9. Lay the card open on a flat surface. Check the template on the reverse side to ensure that its ‘BOTTOM’ side is placed closer to you. If you wish to draw background decorations on the TOP side of the card, this is the time to do so. You can also decorate the BOTTOM side now, or leave it for after you attach the pop-up objects. 10. 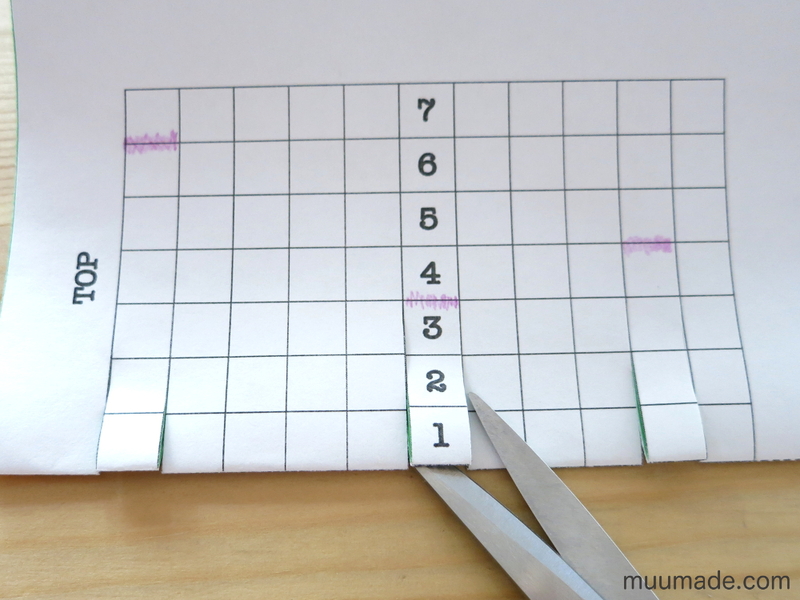 Apply glue or double-sided tape to each support ONLY from the bottom end up to the most recently made crease. 11. Attach the pop-up objects to their designated supports. When doing so, align the bottoms of your objects with the bottom ends of the supports. 12. Prepare the outside layer of the card. 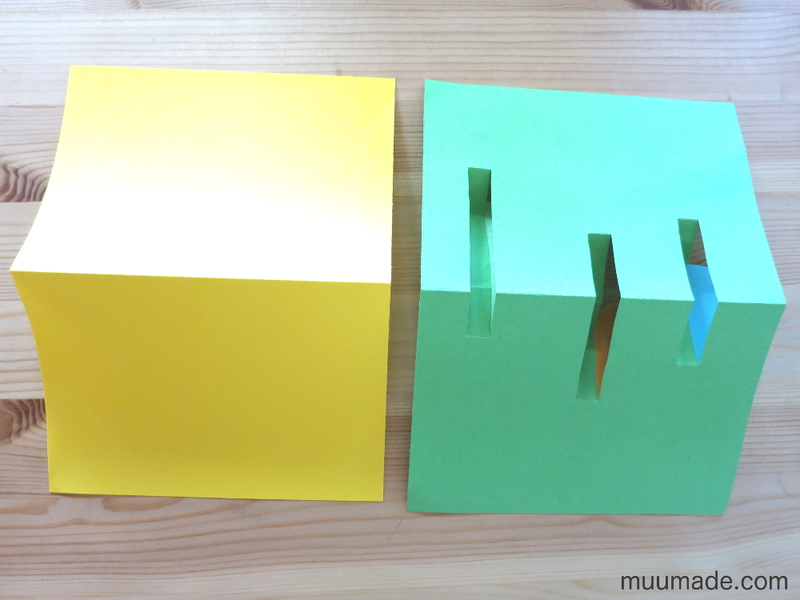 You can either use the second half of the same colored paper that you used for the inside, or you can pick a different color. Fold it in half. Decorate it if you like. 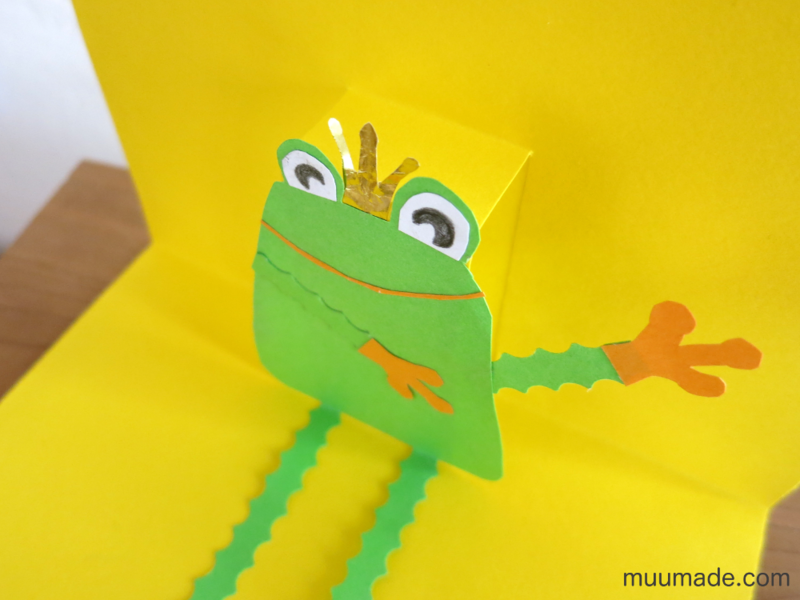 To finish your card, use glue or the double sided tape to attach the outside layer to the inside of the card. 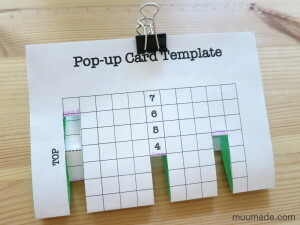 Now your pop-up card is finished!!! 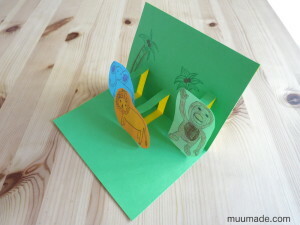 Below are a couple more examples of pop-up cards. 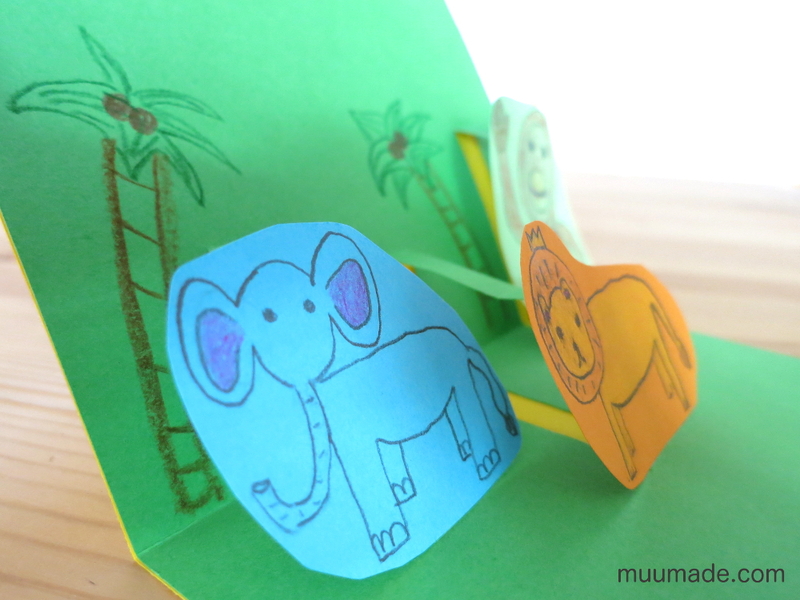 To share your pop-up cards, please visit Muumade’s Gallery.